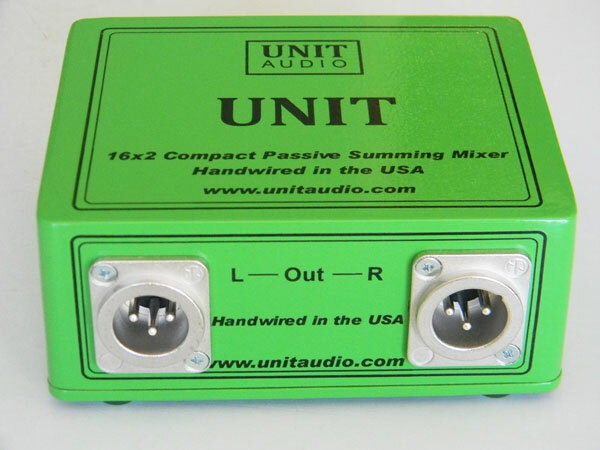 Unit Audio has released the New Unit 16 x 2 analog summing mixer. New Unit features 16 channels of actual physical Analog Summing for $299.00 (plus shipping). Like all Unit Audio mixers, it is completely hand assembled, tested, and wired point to point in Nashville, TN, using the highest quality components like Neutik connectors and Xicon resistors. It is available with either TRS or XLR output. 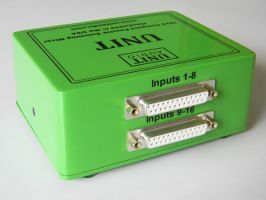 The Unit Audio mixers are designed to add back some the sparkle and punch of analog recording that is so often missing in a purely "in the box" mix. "Is analog summing going to make your recordings sound like a Nashville studio with a billion dollars worth of equipment?" says Unit Audio's Design Engineer Terry, "Probably not, but you will notice a difference in your mixes using a Unit Audio summing mixer."